Apple has accidentally, but conveniently leaked images of their latest iPads before the live press event this morning. 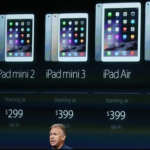 Images of the new iPad Air 2 and the iPad Mini 3 were smeared over the internet this morning and while Apple is claiming they were “accidentally” leaked, its probably more likely that they were trying to create more traction for their launch. Tablets have been struggling in recent months and with sales steadily declining, the pressure is on for Apple to re-establish the tablet industry. While both iPads look fairly similar to their predecessors, there are a few key differences that were visible on the leaked images. 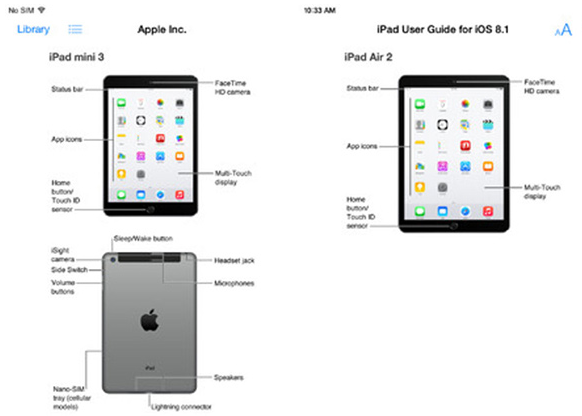 The iPad Mini 3 appears to come with an iSight camera on the back as well as power and volume switches on the side. There is also a nano-SIM tray. The iPad Air 2 appeared to have a better camera that will support “burst mode capability” which will allow rapid fire pictures to be taken. Both devices also appear to come with Touch ID capabilities and while its not clear on the images, it has also been heavily suggested that the tablets will come in Apple’s signature colors- space gray, silver and gold. Apple have since removed the leaked images however more information will be revealed at their press event which will take place in California today at 1pm EST.